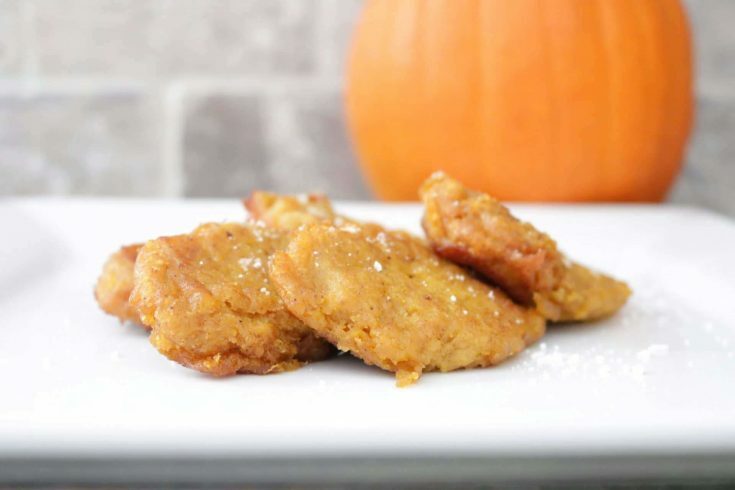 This Delicious Pumpkin Patties Recipe will have everyone’s mouth watering. They are full of savory taste; a taste that is the perfect Fall + Thanksgiving Gathering combination. I love how recipes can bring me so close to family despite being so far away. Making these delicious pumpkin patties take me down memory lane to my mom’s kitchen in Puerto Rico, especially during this Holiday season. Since we moved to North Carolina I started making them myself with my own little touch to ease the cravings that reminded me so much of the place I once called home. Well, they are a fresh pumpkin fry-up with a touch of vanilla and cinnamon. They have a soft and mushy consistency that will delight everyone’s palate. The sweet smell of this simple and traditional pumpkin recipe will give your house a delicious scent. And the sweet but not too sweet flavor will make everyone want to eat more and more. The kids will love them too, and it is a great way to get them to eat pumpkin. After cooking the pumkin in boiling water with salt to taste, let it drain for about 30 minutes to remove as much water as possible. In a large bowl, combine the flour, salt, cinnamon, cloves and sugar. Then add the pumpkin, egg and vanilla. Mix until you have created a thick mass. Adjust the consistency of the mixture with flour if necessary. Test the taste and add more sugar if necessary. Take a spoonful of mixture and fry until golden brown on both sides.